You will enter China through Nepal and exit through Laos. 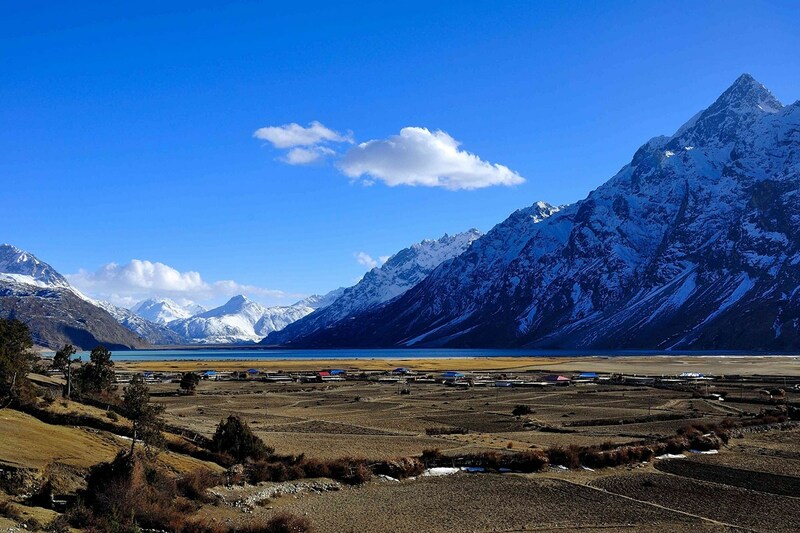 Discover Tibet and then Yunnan in your own vehicle. 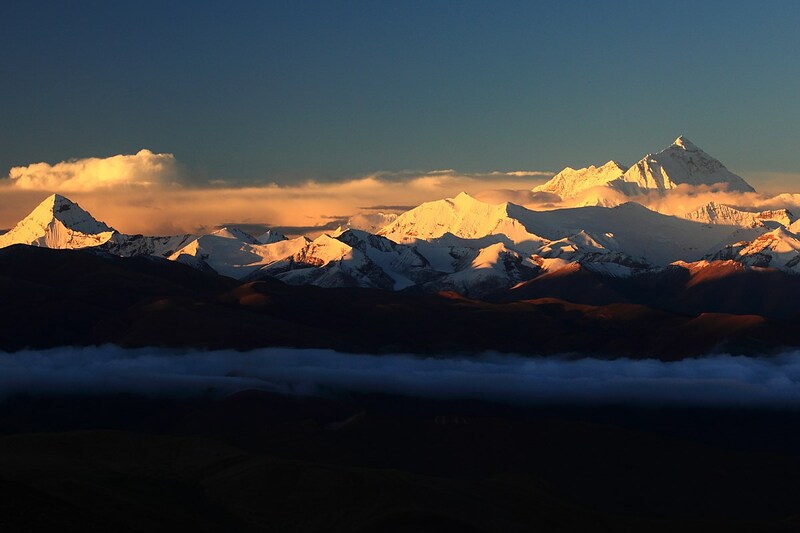 This trip will take you to cultural and historical cities such as Lhasa, Gyantse, Shigatse and Shangri-la as well as incredible landscapes with the Himalayas and the rice terraces of Yuanyang in Yunnan. Discover the detailed program of our “Self Driving – Nepal to Laos, Tibet and Yunnan” tour. This circuit is an example of what can be done in self-driving circuit but it is 100% customizable. Today your self drive tour in China begins. 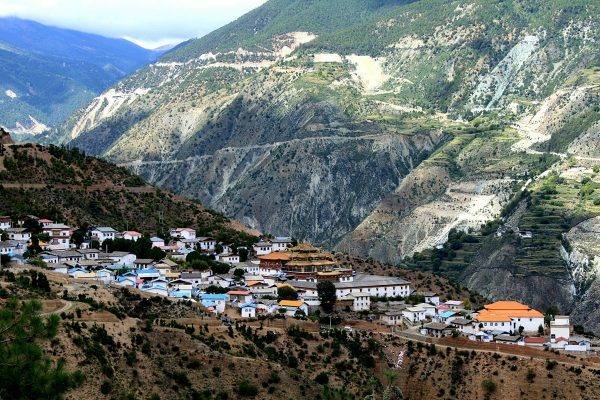 You will first enter Tibet, through the border between Tibet and Nepal, Kyirong. Overnight at the Jilong Hotel. Day in Kyirong – customs formalities. 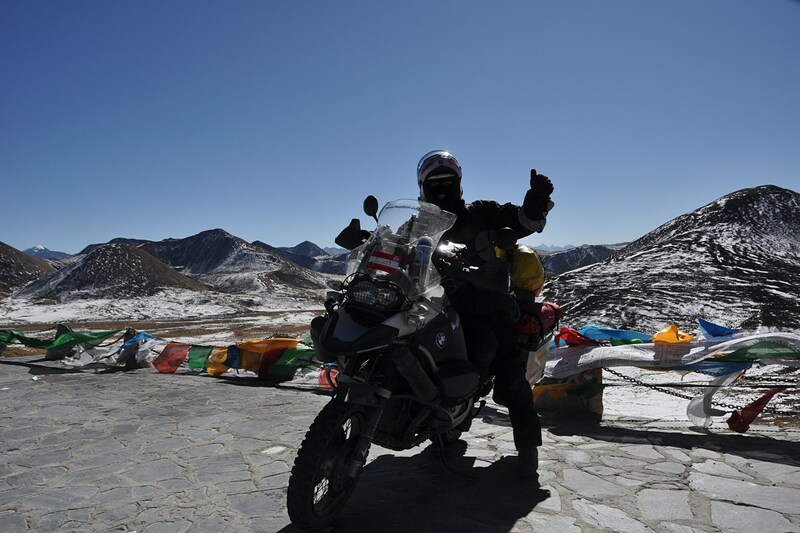 Today, you will drive to Everest Base Camp with your vehicle. From there, you will go for a short hike to Rongbuk Monastery. Overnight at the Guuanjingtai Hotel. Today, you will take the road to Shigatsé, where you will arrive in the afternoon. Overnight in Shigatsé at the Manasarovar Hotel. Shigatsé is one of the most important cities in Tibet. It has exceptional sites that attract more and more tourists every year. For example, you can visit Tashilumpo Monastery, Shigatsé Fort, or Narthang Monastery. Today, we leave for Lhasa. 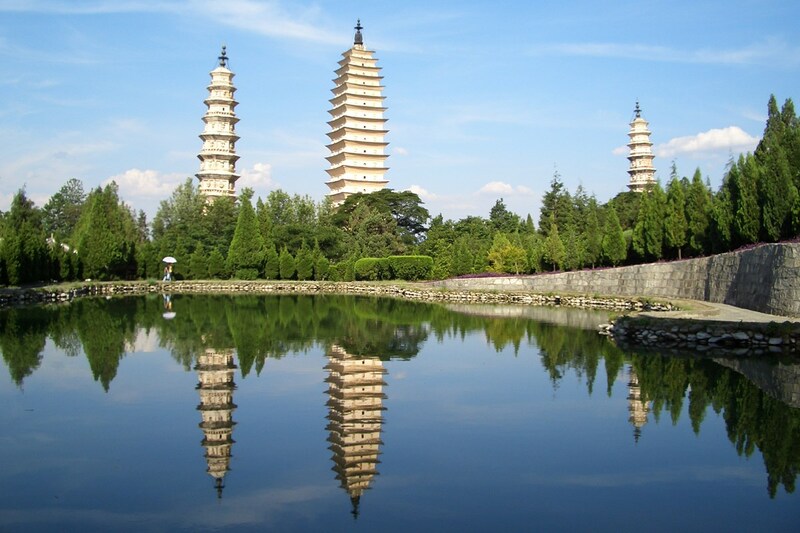 On the way, you will visit Kumpun Monastery and Lake Yantso. You will arrive in Lhasa at the end of the day. Overnight in Lhasa at the Shambala Hotel. Visit day in Lhasa. Located at an altitude of 3600 metres, Lhasa is a unique city. Don’t miss a visit to the Palace of Potala, this 17th century fortress palace is a must in Tibet and is certainly the most visited monument in the country. Also visit the Monastery of Sera, this beautiful monastic complex is one of the three great Gelugpa monastic universities in Tibet. You can also discover the Drepung Monastery, a real exceptional place not to be missed during your trip to Tibet. Take a walk in Norbulingka Park, a 40-hectare enclave filled with gardens, ponds, pavilions and palaces. You’re back on the road this morning, towards Linzhi. Nicked in Linzhi at the Xiangpala Hotel. This morning, take your vehicle back to Basu city. Overnight at the Basu Hotel. Road to Mangkang. 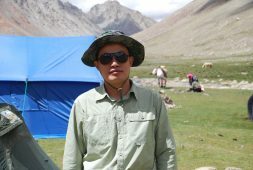 On the way, you will visit Shanowoo Gorge and Yela Pass. Today, you will continue on your way to Deqin. On the way, you will stop to visit the Yanjiang church and the Jingyan Salt Marshes. When you wake up, you can see in the distance, the snow-covered Mount Meili and the Mingyong glacier. After breakfast, you will drive to Shangri La, in Yunnan province. Overnight at the Songzan Hotel in Shangri La. You will start your day with a walk in the old town of Shangri La. Then you will take the road to the Tiger Gorges for a nice hike. You will then take your vehicle to reach Lijiang. Overnight in Lijiang at Sanhe Hotel. Today, you will visit the Black Dragon Pool and the village of Baisha. The rest of the day will be free and you can walk around the old town of Lijiang. Today, you are back on the road in your vehicle towards Dali. Arrival scheduled for early afternoon. 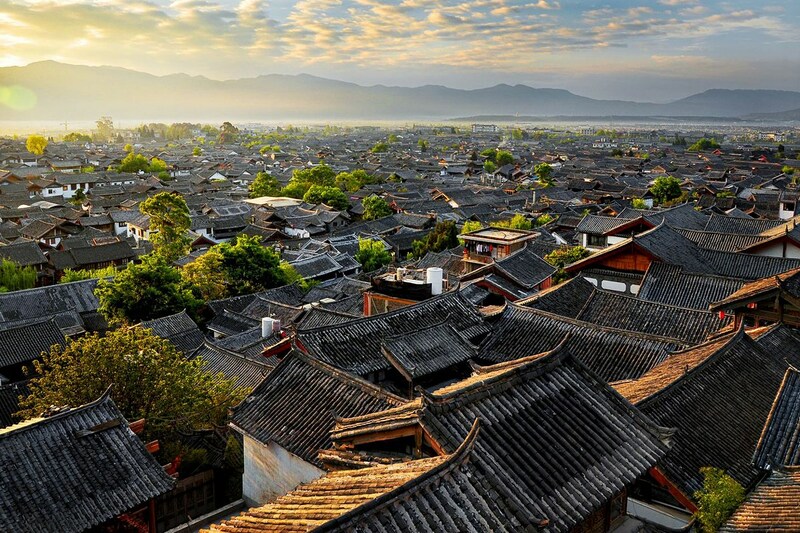 You can discover the old town of Dali with your guide. Night in Dali at Landscape Hotel. Long day’s drive to Kunming. Night in Kunming at the Camélia Hotel. Today departure for Jianshui. On the way, you will stop to visit the Stone Forest. Night in Jianshui at the Huaqing Hotel. Visit of Jianshui. In the program: the Zhu family garden, the Double Dragon Bridge, the old town and the Confucius temple. You will then continue on to Yuanyang, and visit the famous rice terraces of the region. Overnight in Yuanyang at the Yunti Hotel. Overnight in Jiangcheng at the Jiangcheng Hotel. You take the road today to reach the city of Mengla. This morning, administrative formalities and departure to Mohan to leave the Chinese territory.